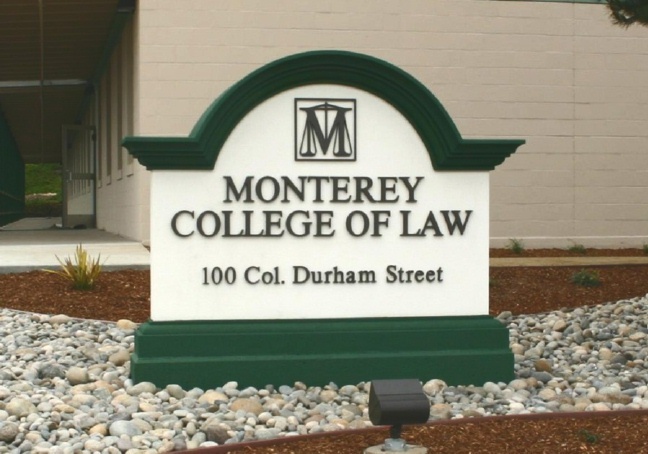 This simple attractive monument sign for a college of law is made of EPS with a hard coating . This sign ships as an integrated unit and only takes a couple of house to install. See Product Line 6 for more designs.